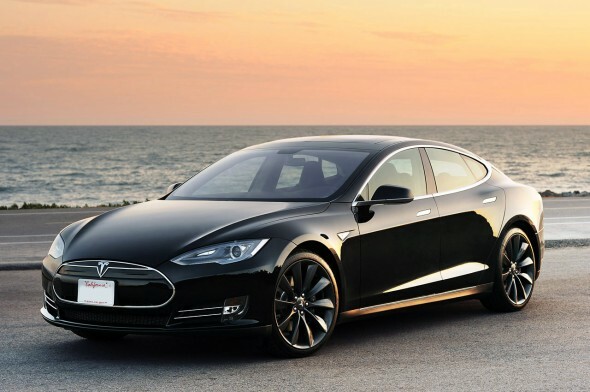 Tesla Model S has done it again; it has been named for the “Best overall car of 2015”. It was given the first position in the top 10 auto list by the highly coveted Consumer Reports. 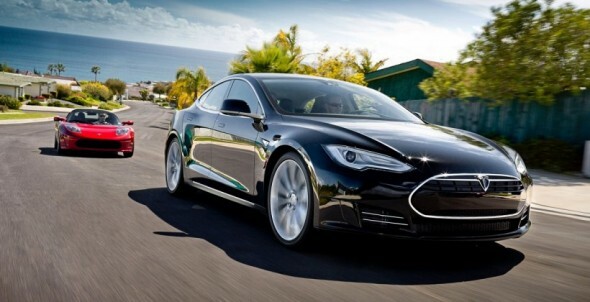 Tesla Model S won the award second time in a row, in 2014 also it was on the top. The top honours were given to Tesla because of its breakneck acceleration, smooth handling, confortable ride, and versatile cabin. The Consumer Review in their in-depth analysis gave Tesla 99 out of 100 and said that Tesla Model S was the best car they have ever tested. The concept of foldable bikes is a great one, but the ones available in the market are not so good. Most of them are heavy, uncomfortable to ride because of their small wheels. The worst thing about them can be that they don’t fold so small. But, Helix is one foldable bike different than the rest. It is world’s smallest folding bike, it can be folded down to the size of its wheels. The wheels of helix pivot on helical hinges which makes it possible for the front and the rear wheel to be folded besides the frame and between the cranks. 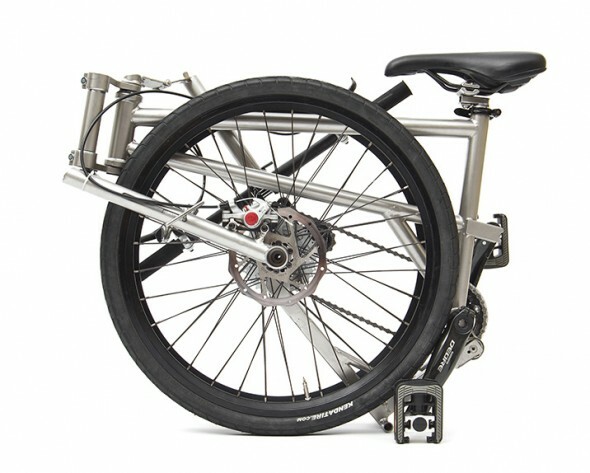 The wheels are 24 inches and once the cycle is folded completely, Helix measures 23 × 25 × 9 inches. Helix is also very light weighing just 9.5 kg. The body is made up of titanium which makes it very durable and corrosion resistant. In an effort to make EVs more attractive to the masses in China, Tesla will soon offer to install free electric chargers in the homes of its Chinese customers. The auto maker’s China president Zhu Xiaotong revealed these plans shortly after Elon Musk, the founder of Tesla Motors, stated that the company’s sales in China dipped considerably during the last few months of 2014. Facts and figures haven’t pointed out just why Tesla isn’t doing as well as it expected in China, however, an add-on advantage like a home-based EV charger is bound to draw bigger crowds. If you’ve been under the impression that the Nissan Leaf is a serious head-turner, get a hold of this. The Japanese automaker has decided to give one of its electric vehicles a cool skin to grab attention after-hours. 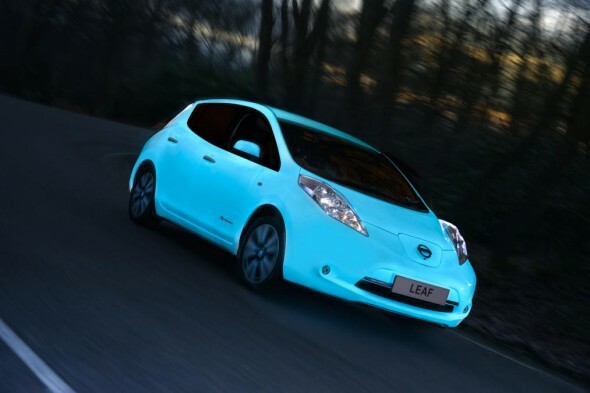 Nissan has painted one special Leaf with UV-absorbing automotive paint, which makes the car glow in the dark! The paintjob, called the Starpath, gives out a subtle glow when driven outdoors in the darkness. After approving the superhighway for cyclists, London is taking a step further in being an eco-friendly city. A new electric black taxi could well replace the common diesel fuelled taxi on London streets very soon. The black taxis will be zero emission and they will emit 75% less carbon dioxide than the ordinary London Taxi. 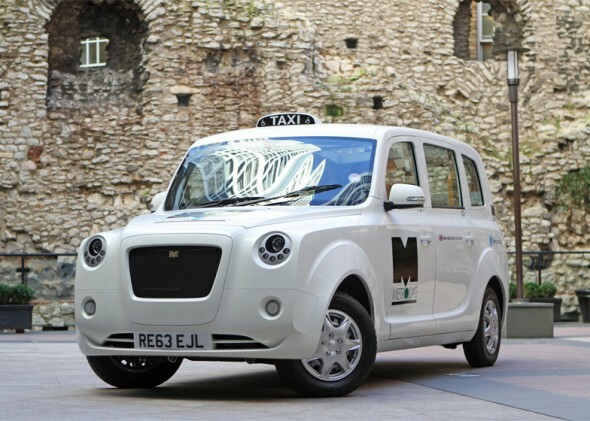 The electric cab called as the Metrocab was being test driven for a year, and now it has finally got license to run on London streets. The Metrocab looks gorgeous from outside because of its long chassis and panoramic glass roof. It has a seating capacity for seven people, the insides have a USB charging socket, and colour TV displays. The car is also fitted with a digital infotainment system, hands free phone, air con, and air suspension. If you are in UK, returning home after a night out drinking with friends will not be a problem anymore. No hassles fading a taxi, Lutz pathfinder, UK’s first driverless car will drop you home safely. Lutz Pathfinder commonly called as Lutz Pod is being tested on UK roads currently so that the Government can make any required changes to the Highway Code to allow them to be used by public. 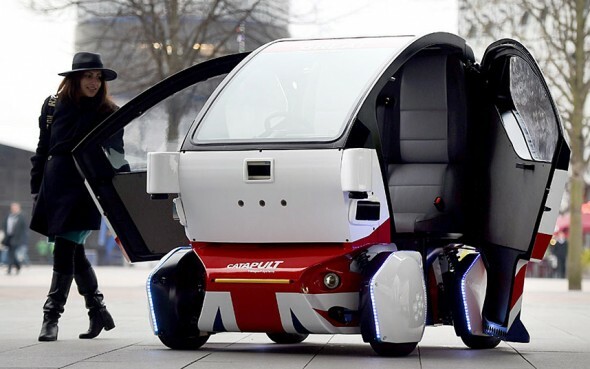 Little autonomous Lutz Pod will be gallivanting the streets of Milton Keynes and Coventry for a few days. The self-driving car has been primarily designed for working on pavements and pedestrian friendly zones. Lutz Pod looks small but it has enough space for two people and a small luggage. Talking about power, it can travel up to 40 miles and attain a top speed of 15 mph. It can run for eight hours when fully charged. 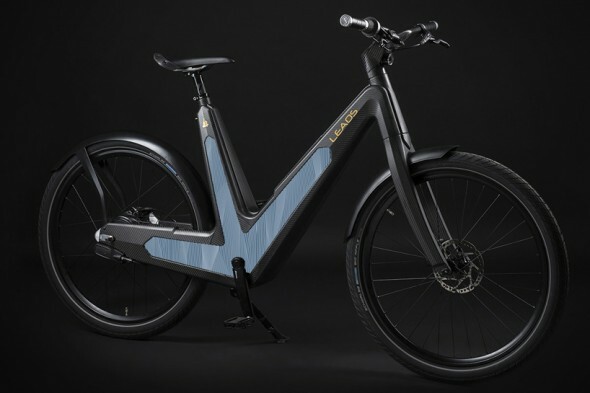 Leaos solar electric bike is a black beauty; it looks gorgeous from every angle. But, it does not have only the looks, but great on functionality too. It can go up to 2.5 hours on a single charge! ya, you read right, and it can attain speeds of up to 45 km/h on a battery driven plug in power. Leaos has a set of fully integrated solar panels placed very aesthetically which provide the bike the power for running up to 30 kilometres in a single day. When the bike is low on battery, it can recharge itself by making a connection with conventional sources. Leaos is designed and handmade in Italy, what makes it lightweight, unique and pretty is the usage of carbon fibre in making the body unlike using the more conventional tubes. Aircraft today are known energy-suckers, drinking up thousands of gallons of fuel on a daily basis, which makes them an eco-threatening necessity. Given the fact that air travel is the best way to go, there is no real way to compromise on the way aircraft are powered today. However, things are set to change in the near future. 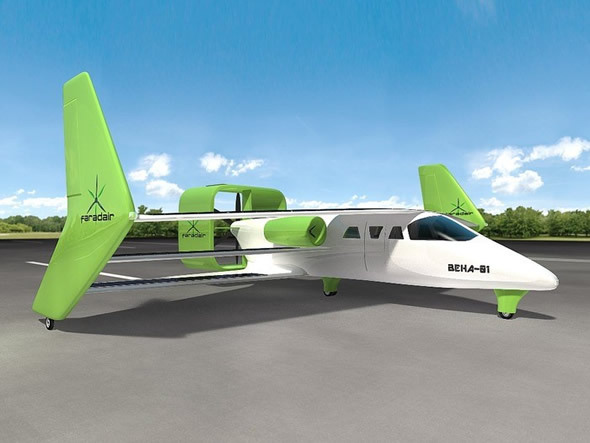 The Faradair BEHA (Bio-Electric-Hybrid-Aircraft), the world’s first true hybrid aircraft, could very well change the aviation industry for good. Pooping isn’t something that’s going to save the world. That’s not what the Bio-Bus developers think however. 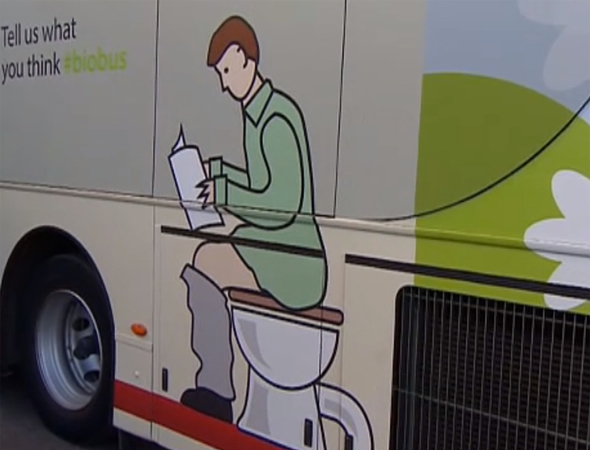 These folks have developed a bus that powers up using human poop! With 40 seats in all, this one can go 186 miles on one tank of biomethane gas, generated from treating human sewage and food waste at Bristol sewage in Avonmout. The gas is pumped through a combustion engine which helps the bus get around. Streetlights are built for one purpose, to light up streets. Quite often, the potential of a streetlight isn’t completely looked at, making these infrastructural objects amount to nothing more than a public lighting source. BMW looks at it all differently though. 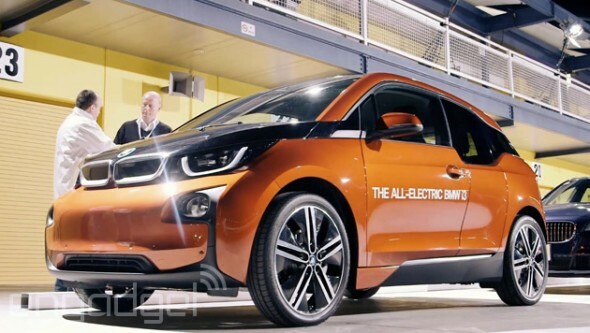 The German automaker has unveiled a streetlight that doubles up as an EV charging station. Aptly christened the “Light and Charge” system, these units integrate a conventional streetlight with the ChargeNow stations.